The CleanFinancial.com guide to forex spread betting. Where Can I Spread Bet on Forex? Where Can I Trade Forex for Free? Where Can I Practice Trading Forex? What Forex Markets Can You Trade? A spread/price comparison table looking at the ‘spread size’ and minimum stakes for the most popular forex markets. Comparison Notes. This table is not meant to be inclusive, forex spread betting may be available through other brokers. The live CFD chart below offers readers good view of the EUR/USD market. Using the search option on the chart, you can select charts for EUR/GBP, GBP/USD, USD/JPY and more than 30 other forex markets. The above Plus500 chart usually tracks the futures markets. If you’d like to analyse live forex spread betting charts and prices, you’ll probably need a financial spread betting account. A spreads account will also let you access the shorter-term daily prices. Note that accounts are subject to suitability, credit and status checks. If you apply for an account and your application is approved, then when you log in, you will be able to access the live charts/prices. Usually, these are provided for free, however, you’re likely to receive the odd boring sales call and/or newsletter from the spread betting firm. Of course, if you decide to trade then, before starting, you should note that financial spread betting and contracts for difference involve a high degree of risk and can result in you losing more than your initial deposit. The latest Commitments of Traders Report (COT) has been published by the CFTC and so we have produced a new Forex COT Summary Report. We have also added individual COT reports for the markets listed below. Our reports are easier-to-read than the CFTC version, they also show additional ratios and give the weekly net positions changes. Note that the Forex COT Summary Report also includes the Brazilian Real. Also see spread betting on the Chinese renminbi. 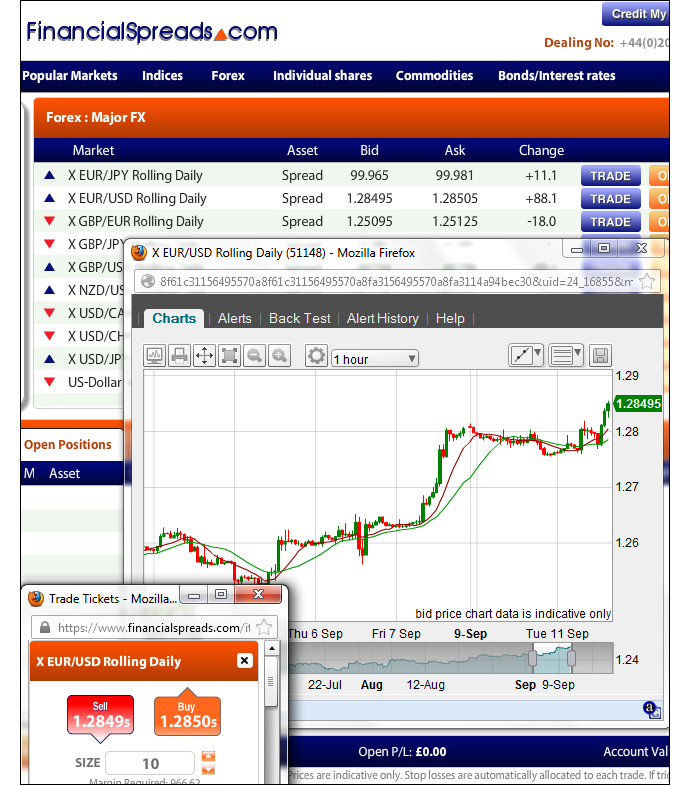 Note that you may be able to trade the forex markets via other websites. Speculating always comes with a certain degree of risk, however, if you want a free Demo Account that lets you try out financial spread betting, then see Free Demo Account below. Also, remember that in the UK, financial spread betting is tax free* i.e. it is free of income tax, capital gains tax and stamp duty. The above firms currently provide a Demo Account which investors can use to practice trading, analyse charts and try out new trading theories. According to Spreadex, “One of the most fundamental factors to remember when spread trading is that if you are speculating on the first named currency in the pair to rise in value, you would place ‘buy’ a trade on that forex pair. If you, however, expected the first named currency to fall in value then you would place a ‘sell’ trade on that pair. For example, if you predict that the pound will rise versus the US dollar then you would ‘buy’ the sterling/dollar pair. Therefore you could place a £2 buy trade on a Spreadex quote of $1.5650-$1.5653 (ie buy the market at $1.5653). If you predict sterling will fall versus the US Dollar then you would ‘sell’ sterling/dollar pair at $1.5650. Another factor to remember is that the spread is often based on movements of 0.0001 of the currency. Note that dollar/yen market is based on movements of ¥0.01. Given that forex movements can be particularly volatile, this can result in potentially large swings which would mean large profits, or of course large losses. You should, therefore, ensure that you have stop losses in place to help limit your potential downside. With the sterling/dollar example above you would make a profit of £2 for every $0.0001 the currency pair moves up and lose £2 for every $0.0001 that the pair falls. When trading Spreadex markets, you are required to have an available trading balance of 100 x the size of your stake to cover the potential downside. So, based on the £2 stake size in the example above, you would be required to have £206 available as a trading balance if you wish to place the trade (as it would be 100 x your £2 stake [£200], plus 3 pips x £2 [£6])”. As with many global markets, it is possible to spread bet on foreign exchange markets to rise or fall. When spread betting on EUR/USD, you trade in £x per point, where a point is $0.00010 of the pairs movement. Therefore, if you invest £3 per point and EUR/USD moves 31.0 points then that would alter your bottom line by £93. £3 per point x $0.00310 = £3 per point x 31.0 points = £93. 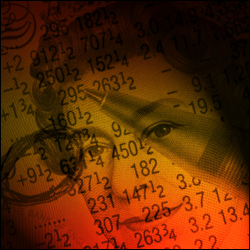 With forex spread betting, most traders opt for ‘Daily’ markets rather than futures markets. In this example we are looking at a Rolling Daily Market. It is important to note that a Rolling Daily spread bet does not have a closing date. If you decide to leave your trade open at the end of the day, it just rolls over to the next day. If your trade is rolled over, you’ll often be charged a small overnight financing fee. To learn more, please read Rolling Daily Spread Betting. Then you might decide to buy a spread bet at $1.29458 for a stake of £2 per point. So, you make a profit of £2 for every point ($0.00010) that the EUR/USD rate pushes above $1.29458. Nevertheless, such a bet also means that you will make a loss of £2 for every point that the EUR/USD market drops lower than $1.29458. Thinking of this in a slightly different way, should you buy a spread bet, your profit/loss is found by taking the difference between the closing price of the market and the opening price you bought the spread at. You then multiply that difference in price by your stake. Therefore, if after a few hours the foreign exchange rate started to increase, you might think about closing your trade. This would lock in your profits. Trading the forex markets is not easy. In this case, you had bet that the EUR/USD market would go up. Of course, it can also go down. If the EUR/USD rate had fallen then you might decide to close your trade in order to restrict your losses. 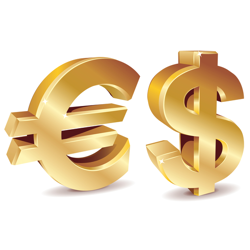 Note – EUR/USD Rolling Daily FX market correct as of 25-Sep-12. When studying the US CFTC COT reports, many investors will concentrate on the Non-Commercial commitments and the Change in Open Interest. Therefore, every week, we publish the following ‘Summary Non-Commercial and Open Interest COT Report’. For the full COT report for a particular market, and to see how traders are changing their positions in the foreign exchange markets, simply click on the relevant currency in the summary table below. Unfortunately, we don’t currently produce an individual COT report for the Brazilian real however the currency is still covered in the table below. We have COT charts for the main forex markets or, for more details about these reports, see our Commitments of Traders guide. Also see » Forex COT summary charts. Where Can I Find a Forex Trading Platform/Software? Some spread betting companies provide users with trading platforms/software that you have to download and install on your computer. However, most companies provide web-based platforms that don’t require any installation, you just need internet access. The companies listed above in the prices and charts section all offer web-based platforms where you can spread bet on forex markets. Advert: Forex Spread Betting Guide, sponsored by FinancialSpreads.com. You can spread bet on Forex with Financial Spreads. Forex Trading Guide: What Markets Can You Trade? 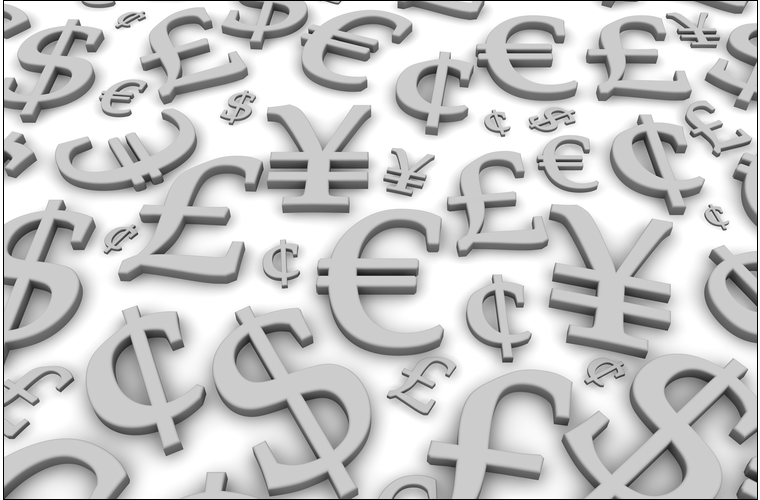 You can trade many forex spreads pairings however it’s estimated that 95% of trading is carried out on the 10 major currency pairings of: EUR/USD, GBP/USD, USD/JPY, AUD/USD, USD/CHF, NZD/USD, USD/CAD, GBP/JPY, EUR/JPY and EUR/GBP. It’s also worth noting that some currencies such as the Chinese renminbi are not free floating and/or have trading restrictions. Therefore whilst China is the second largest economy in the World it can be difficult to trade Chinese renminbi markets, for more details see: Chinese Renminbi Trading: Spread Betting on the Yuan. During 2013, there was a marked increase in trading digital currencies like Bitcoin (BTC) and Litecoin (LTC). However, a number of spread betting, CFD and binary markets that started in 2013 have already been closed/suspended. This is probably due to the extreme volatility these markets are seeing and therefore the various spread betting and CFD companies have had problems with their risk management of these relatively new markets. 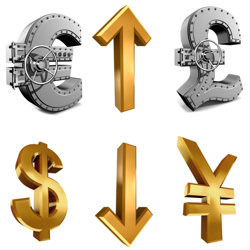 Below we have listed guides to a wide range of forex markets. Nearly all of the markets have real-time prices and charts. The most popular markets also have regular market updates and analysis. Can be more volatile and more likely to ‘slip’ or ‘gap’ than a major like EUR/USD or GBP/USD. You can place forex trades on both Spreadex spot and future prices. Spot prices have tighter spreads (which gives you greater value on your spread trade), however will incur a rolling charge, should you wish to keep your trade open overnight. With Spreadex prices you would need to ensure that you have your preferences set so your spot currency trade will roll overnight. Future forex spreads are wider, which normally suggests lower value, however you would not incur a rolling charge. It is therefore up to you to choose which represents better value to you and your spread trade. Note that with spread trading firms like FinancialSpreads.com you trade ‘Rolling Daily’ markets rather than ‘Spot’ markets. Rolling Daily markets normally also offer tighter spreads. With a rolling daily market there is no closing date for this market. If a trade is still open when the markets close at the end of the day, it simply keeps rolling over into the next trading session. For a more detailed example see Rolling Daily trades. If you are trading the forex markets through FX spread trading, CFDs or ‘margined Forex’ then be aware that these are all leveraged financial products and they come with high levels of risk. You may incur losses which are greater than your original stake. Ensure that you only speculate with funds that you can afford to lose. Make sure you understand the risks involved when trading with these investment products. It is important to note that these products might not be suitable for your investment needs. Where appropriate, obtain independent investment guidance. The forex market is both the largest and the most volatile financial market in the world. According to the Bank for International Settlements, it has an average daily turnover estimated at $3.98 trillion. The forex trading market – also known as currency trading, foreign exchange or FX – was originally closed to individual traders, and was reserved for multi-national corporations and global banks. That has now changed and with Spreadex, as well as nearly all other spread trading companies and CFD brokers, you can trade on a broad range of forex pairs. In April 2010 global forex turnover was 20% higher than in April 2007, with the average daily turnover rising from $3.3 trillion to $4.0 trillion. The primary increase was driven by short-term trading which, in terms of turnover, grew by 48%. ‘Spot’ transactions now represent 37% of global turnover, rising from $1.0 trillion in April 2007 to $1.5 trillion in April 2010. In relation to spread trading and CFDs, read ‘spot’ as a daily market rather than a futures market. With regards to the various parties trading the forex markets, the higher turnover is associated with the increased activity of ‘other financial institutions’ – these include, but are not limited to, non-reporting banks, pension funds, hedge funds, insurance companies, mutual funds and central banks. Turnover by this group of ‘other financial institutions’ grew by 42%, increasing from $1.3 trillion in April 2007 to $1.9 trillion in April 2010. As a percentage share of overall turnover, the US dollar has continued its decline since the April 2001 survey. The euro and Japanese yen have gained relative to April 2007. Looking at the 10 most traded currencies, the Canadian and Australian dollars both increased market share and the Swiss franc and sterling lost ground. Certain emerging market currencies became far more popular and the largest increases were seen with the Korean won and Turkish lira based pairs. Forex trading activity has become increasingly global. Cross-border transactions represented 65% of trading activity in April 2010 and local transactions accounted for 35%. The UK remains the number one forex market with UK based banks accounting for 36.7% of the entire market. This is a small increase on 2007 when the UK accounted for 34.6%. Inflation – Countries with consistently lower levels of inflation will often experience a rising currency value. Likewise those countries with higher levels of inflation will typically see the value of their currency fall. Interest Rates – High interest rates will often attract overseas investment and capital if an opportunity exists for a higher return relative to other currencies. Therefore high interest rates can drive up the value of a given currency. Note however that high inflation can also counteract a rise in value. Public Debt – Countries with high levels of public debt are often less attractive to overseas investors. These countries will sometimes encourage inflation and run the risk of defaulting on their debt obligations, as such they end up with a poor debt rating. This can then devalue the local currency. Terms of Trade – This is linked to the country’s current account and its balance of payments. The terms of trade compares import and export prices. If the price of exports rises by more than the price of imports, a country may see its currency rise. Political Stability / Economic Performance – Countries that are stable and have a strong economic performance will be more likely to attract overseas investment than less stable countries. Political turmoil and/or instability will often result in the relevant currency losing value. Below, an older but still useful case study on the sterling/dollar market by Shai Heffetz, InterTrader, 27-Sep-2011. After being fairly indecisive for the four months between May 2011 and August 2011, the sterling/dollar market started a relatively sharp bearish phase on 18 August 2011. Looking at the chart below, we can see that the price was still far above the Ichimoku Kinko Hyo cloud at that stage. By 5 September, it had dropped right through the Ichimoku cloud and closed well below the cloud at $1.60981. Since then it has been down hill all the way, except more recently where we have seen a mini bull run. Although the price is currently trading slightly above the red Tenkan Sen line, confirming a short-term bull run, it is too early to talk about any significant price increase. The European debt crisis is still lingering on with no apparent end in sight. This is also negatively affecting Sterling and, unless a small miracle happens soon, it seems unlikely that we will see a major upsurge in the price of the Pound in the short term. If we closely study the chart below, we will see that the price is far below the Ichimoku cloud, confirming that we are in a bear phase. Both the blue Kijun Sen and red Tenkan Sen lines are also below the cloud, acting as confirmation signals. The green Chinkou Span is far below the price of 26 periods ago, which further confirms that a bear run is indeed underway. Any close below the recent low of $1.53264 that we saw on 22 September could be the beginning of new lows and could therefore be a good entry point for short trades. At the moment, long trades are only advisable for day trading investors who cash in on relatively small upsurges in the price. Medium term long traders should wait for the price to emerge upwards from the Ichimoku cloud, which is very far away indeed right now.